If you carry a bluetooth keyboard around with your ipad to type larger documents, then you might be interested in Waterfield Designs new keyboard and ipad carry case. Check out the video after the jump to see it in action. 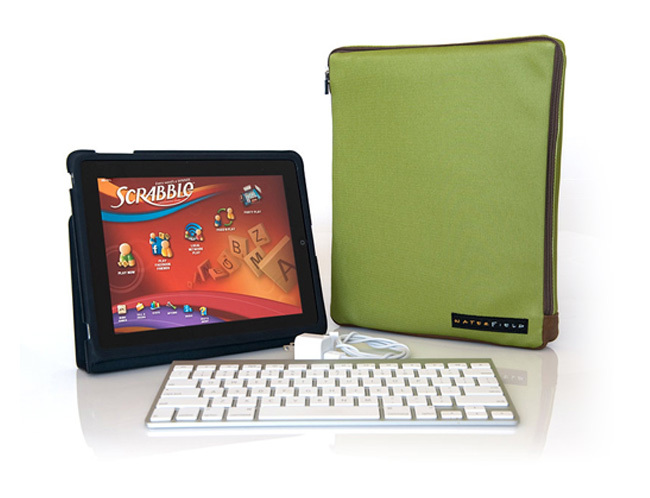 The case is designed with two scratch free, lightly padded internal pockets keep your iPad and Keyboard separate and safe.The svelte and stylish iPad case comes in a choice of six panel colors, each with distressed brown leather sides. 12″ x 9″ x 1.5″ / 14 oz.